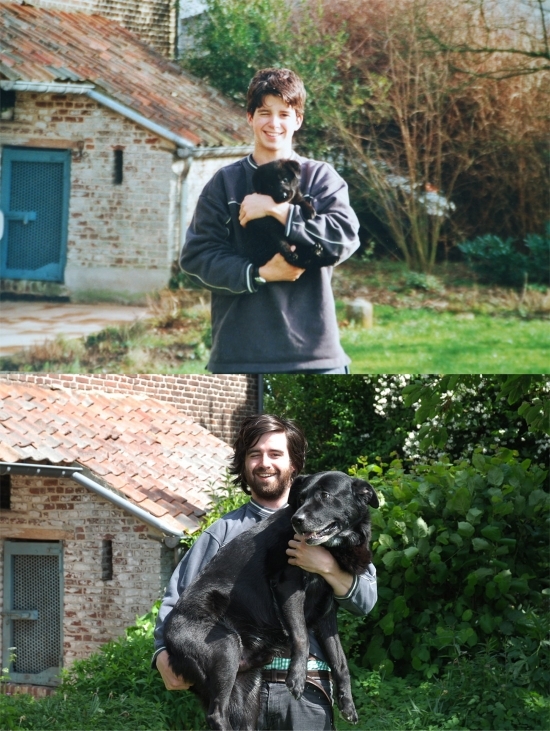 Brussels-based Redditor Gordondel posts pictures of him holding his dog and wearing the same sweater ten years ago and now. That right hand is somewhat disturbing. I love these now and then pics. This "March of Time" is charming. Love the pics. That is so awesome. There is no bond like a boy and his dog.